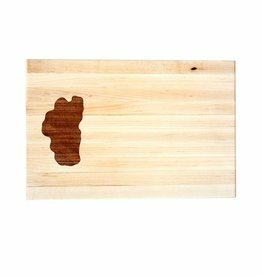 Beautiful hand made wooden cutting board inlaid with the shape of Lake Tahoe made with various hard woods. Pictured is Maple and Walnut, finished with Walnut oil. Food safe. Measures approximately 12" x 8"